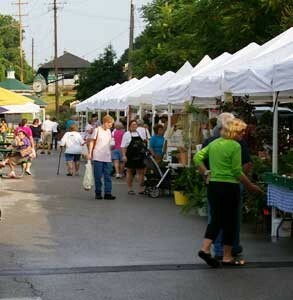 Award-winning Ferguson Farmers’ Market from 8:00 a.m. to Noon Saturdays in downtown Ferguson — May to October. 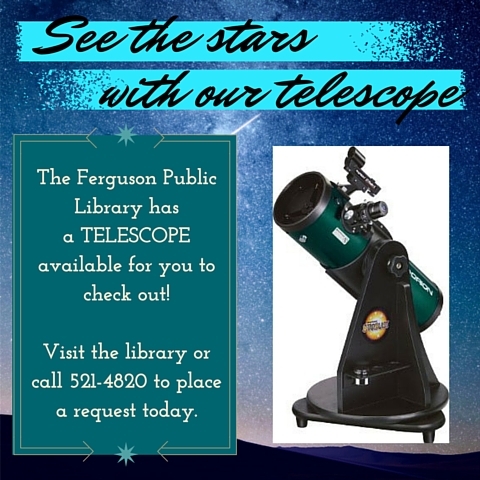 For additional information, visit www.fergusonfarmersmarket.com. 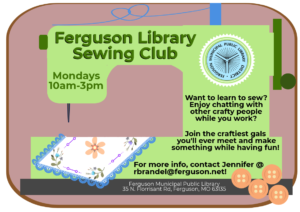 Friends of the Ferguson Library (FLIERS) are seeking new members. 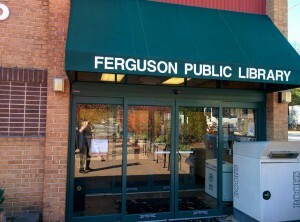 The Friends are a group of friendly, dedicated people who volunteer time in support of the Ferguson Library. Fund-raising activities of the Friends include book and bake sales. All monies raised go to supporting the Library. 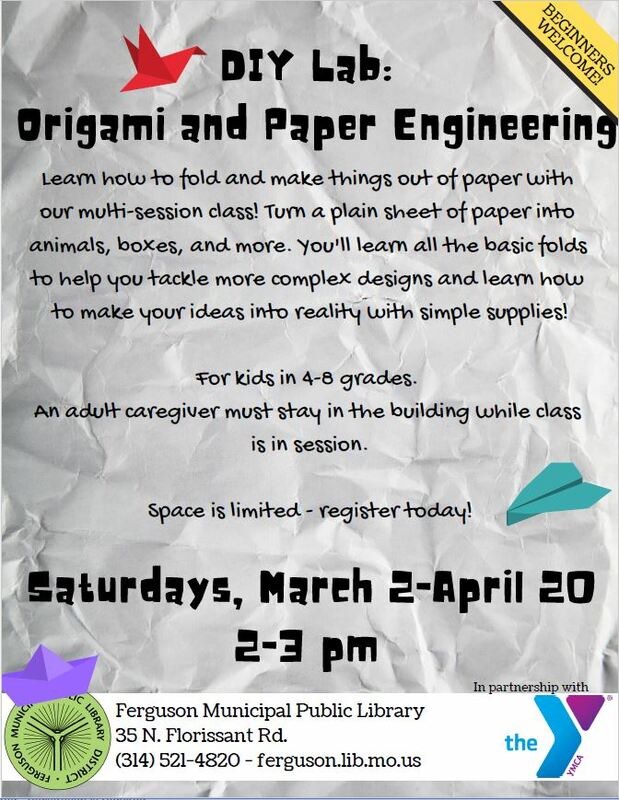 Please call the Library at (314) 521-4820 for member information.